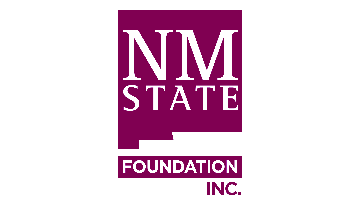 New Mexico State University is a comprehensive land-grant institution of higher learning accredited by the Higher Learning Commission of the North Central Association of Colleges and Universities. An active research university, NMSU anchors the southern end of New Mexico’s Rio Grande Research Corridor, exceeding $140 million in research and public service expenditures. NMSU is classified as a Hispanic-serving institution by the federal government with a total minority enrollment over 48%. Home to the state’s NASA Space Grant Program, NMSU is located in Las Cruces, which features desert mesas, the farmlands of the Rio Grande Valley, and the Organ Mountains, an extension of the Rocky Mountain chain. The University is committed to building a cultural diverse educational environment. Under general direction, responsible for the more complex activities associated with maintaining ledger accounts and for developing financial statements and reports. Position may provide functional advice or training to less-experienced accountant positions. Monitors and maintains appropriate revenue levels by actions such as letter of credit draw downs and cost reimbursement or fee-for-service billings; oversees major liability accounts for the organization. May direct or supervise the work of assigned personnel which may include recommendations for hiring, firing, performance evaluation, training, work allocation, and problem resolution. May serve on University committees that develop accounting policies and procedures. Performs miscellaneous job-related duties as assigned. Oversees daily processing and accounting for revenue and expenditures by departments; reviews and reports financial transactions to funding sources; ensures accuracy, completeness, and compliance with university, local, state, and federal requirements, and standard accounting and audit procedures. Monitors and maintains key accounting information for the operating unit within the finance system. Interprets and analyzes financial operations and transactions, forecasts trends, and develops special complex reports and analyses for management and funding agencies; makes recommendations for asset utilization and expenditure control. Designs complex accounting and database applications for personal computers; balances and maintains ledgers for the automated financial and human resource management systems. Interacts with university auditors and assists independent auditors with interim and year-end audits, as appropriate. Knowledge of applicable local, state, and federal regulations, and generally accepted accounting principles. Knowledge of computerized information systems used in financial and/or accounting applications. Knowledge of finance, accounting, budgeting, and cost control procedures. Ability to communicate effectively, both orally and in writing. Ability to analyze and interpret financial data and prepare financial reports, statements and/or projections. Ability to monitor and maintain institutional revenue levels and liability accounts. Ability to analyze budgetary expenditures for compliance with funding agencies’ budgets, policies, and procedures. Ability to supervise and train employees, to include organizing, prioritizing, and scheduling work assignments. Ability to implement policies and procedures to maintain compliance with various regulations. Three (3) years of professional experience directly related to the standard duties as outlined. Bachelor's degree and successful completion of at least 15 credit hours of Accounting (ACCT) course work and three (3) years of professional experience directly related to the standard duties as outlined.